According to Sausalito Currents, the City and the Golden Gate Bridge, Highway and Transportation District have executed a Memorandum of Understanding (MOU) to stay for six months the parties’ pending litigation arising from the District’s project to replace the existing Sausalito ferry terminal. Under the MOU, the Bridge District will submit newly revised plans for the project. 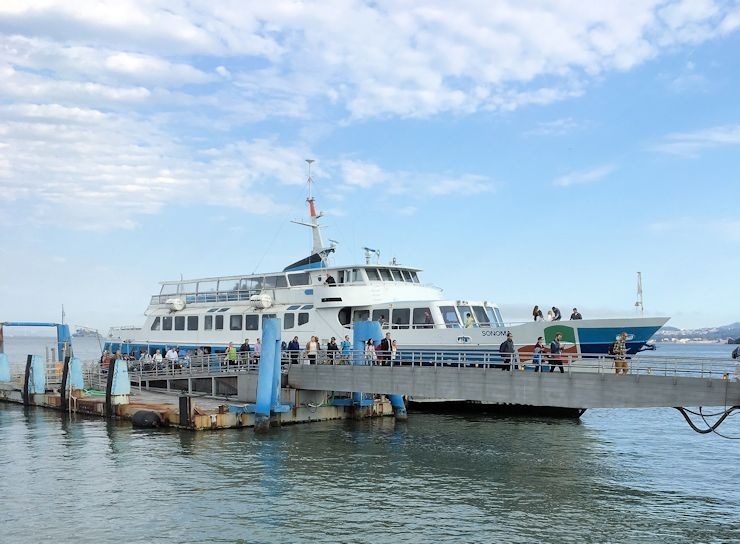 The District’s revised plans will reduce the width of the proposed float by 4 feet, from 53 feet to 49 feet, with a corresponding reduction in the width of the gangway from 16 feet to 12 feet. The length of the proposed float will be reduced by 1.5 feet, from 145.5 feet to 144 feet. The District will submit the revised plans with illustrative drawings to Sausalito during August, and on August 31, will request the City Council’s consent determination under the parties’ lease agreement. The City Council will consider the District’s revised plans for the project during its regularly scheduled public meeting on September 12. The City Council plans to make its determination at its public meeting on September 26. There will be time for public comment at both Sausalito City Council meetings in September.